Despite strongly opposing war, I support the men and women who have fought for our freedoms and defended our country. I am the daughter of a Vietnam veteran who lost not only part of himself in the service (his leg was amputated after stepping on a landmine) but he also lost close friends. I take this day as reminder that courage and strength are admirable qualities in all of us. 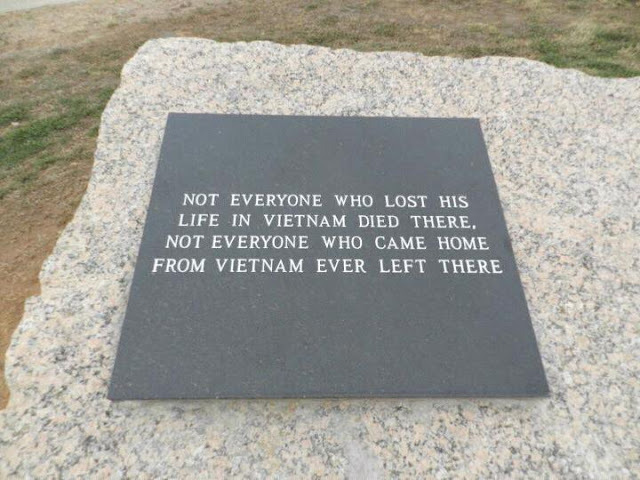 Those who have served didn't necessarily choose their situation but they dealt with it. The pain of war is a scar that stays with a person for their entire life. When my Dad came home from Vietnam, he was met with hostile criticism. He doesn't talk about his time at war but the psychological effects are evident. If you know a Veteran, thank them. 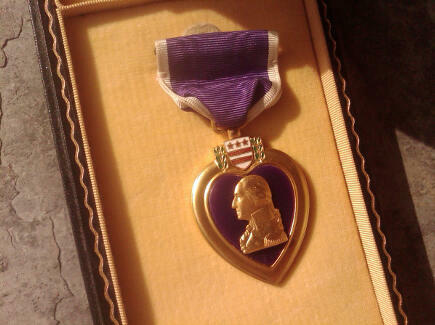 Here is a picture of my Dad's Purple Heart medal. If I come across any photographs from when he served, I'll be sure to share. *I think this song accurately describes the emotions many soldiers have gone through.